Join us for a fun filled afternoon of learning with our Production Specialist, Eva Arsenault. 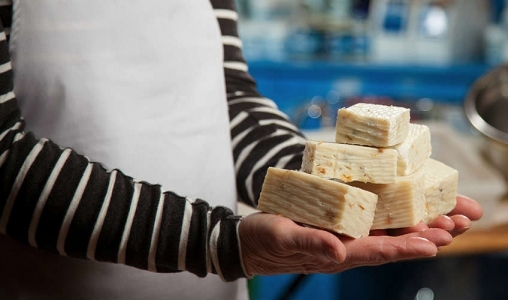 After a guided tour of the Studio you will have an opportunity to make SeaSplash soaps. The unique attributes of our native Irish Moss adds a special moisturizing quality to the products created by Tignish Treasures' SeaSplash line of bath and body products.